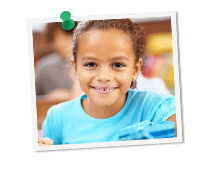 Grade Potential has 11th grade tutors who are specially qualified to help your child reach his or her goals. Backed by extensive training and experience, each 11th grade tutor comes to you on your timetable and partners with your child to find academic success. The 11th grade tutors at Grade Potential know what it takes to help high school juniors succeed. Not only have we been working with high school students for years, but we also have worked extensively on high school curriculum. From English to History, we have the expertise to give your child one-on-one, personalized tutoring that caters to his or her goals. With Grade Potential, you don’t have to worry about trying to fit one more commute into your schedule; we bring tutoring to you. Because we know how important convenience is to busy families, we let you decide where and when your 11th grade tutor will meet you. Let us know where to go and when to meet, and we’ll be there!